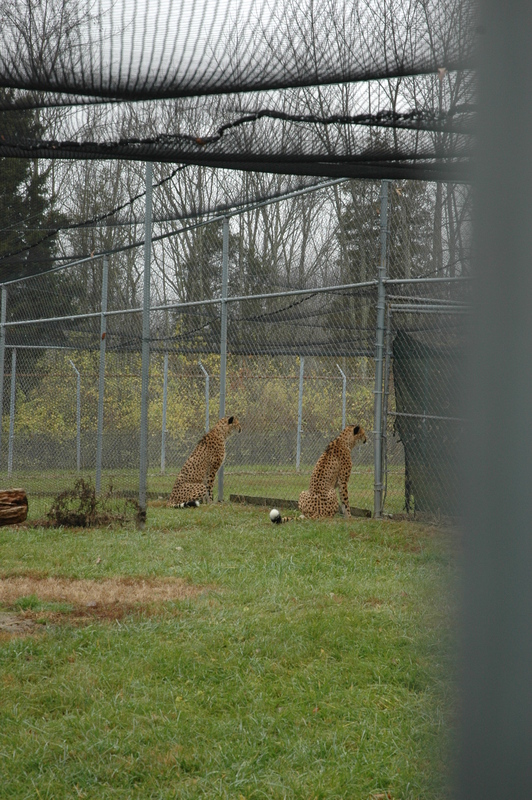 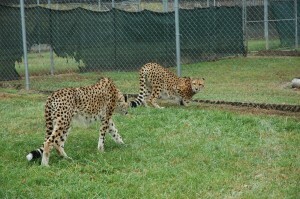 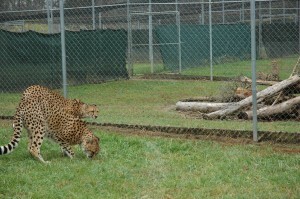 Bravo & Chance are being housed at the Mast Farm, but they are not the only cheetah brothers that live there. 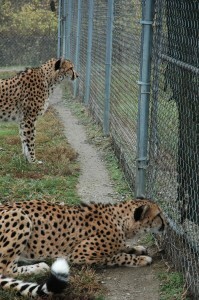 Once they realize they are not alone, the boys are very quick to investigate the neighboring coalitions. 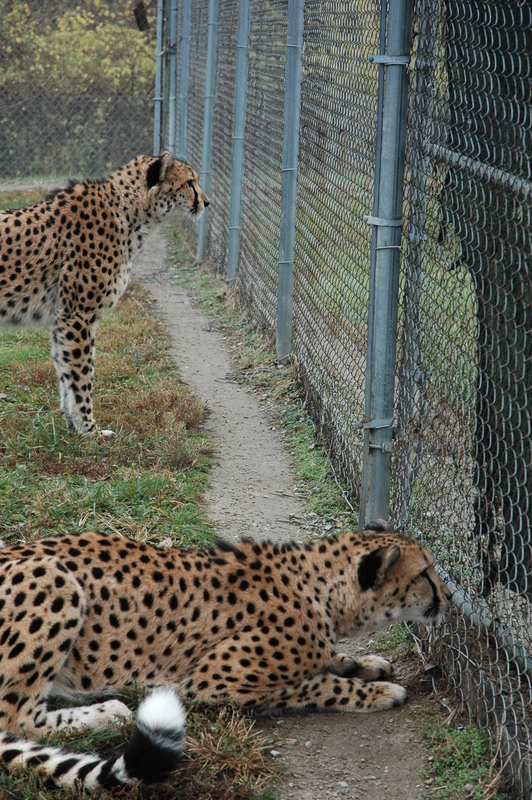 You can see the neighbors off to the right. 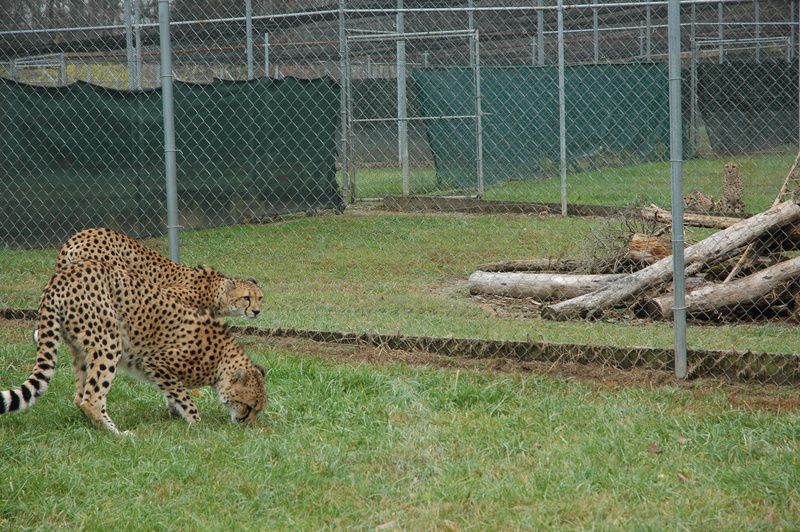 Since boys sometimes can be territorial, they are not directly adjacent to each other, they have an empty enclosure between them. 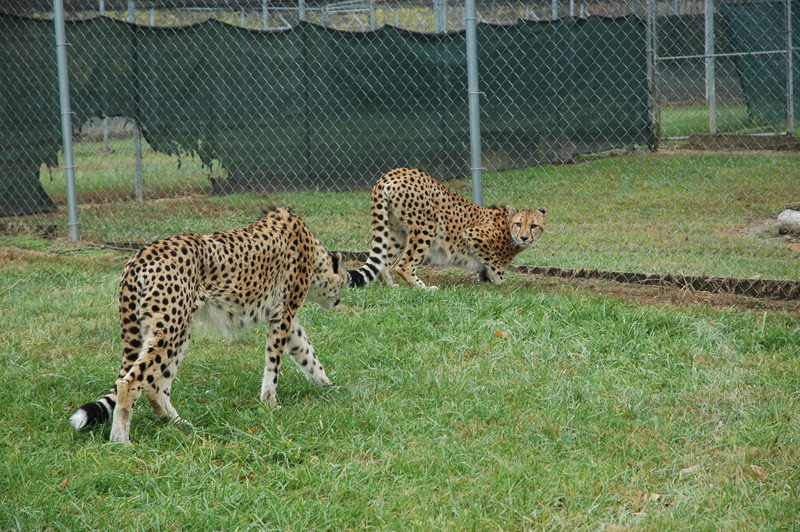 Bravo & Chance were so enthralled with their neighbors, they didn’t even turn to say bye when we left!